Suffern, New York - RustyBrick, Inc. is excited to announce the Siddur App is now available for Android users. Initially introduced almost five years ago for iOS users and quickly becoming the premier Jewish weekday prayer book - the Siddur is finally available for Android users. You can learn more about the Android version of our Siddur at www.rustybrick.com/android/siddur. The features are virtually identical to the RustyBrick iPhone Siddur but missing a few functions that will be added over time. To buy the app for your device, go to the Google Play Store here or by searching for "RustyBrick Siddur". The famous RustyBrick Siddur is now available for Android. The siddur is smart enabled, showing you what you need to see that day. You can now take your weekday siddur with you with this feature-packed Jewish prayer book. You'll get Ashkenaz, Sefard, Sefarad Mizrachi and Nusach Ari (Chabad) versions of davening, including weekday Shacharis, Mincha, Maariv, standard Brachos and more. 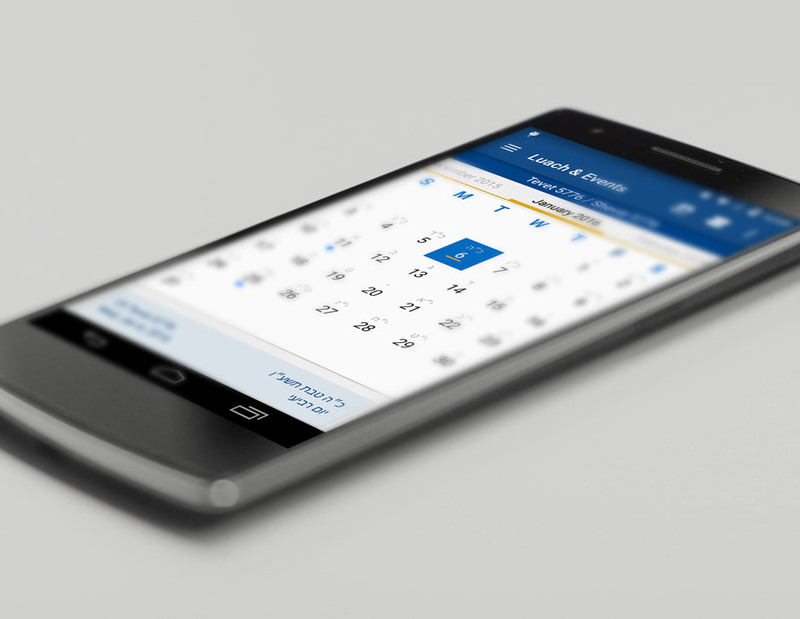 Real time Zmanim will give you the prayer times for each day based on your location determined with the device's GPS. A Minyanim database will help you find nearest shul. A Luach or Jewish Calendar will aid you in your prayer services. RustyBrick is a New York Web service firm specializing in customized online technology that helps companies decrease costs and increase sales. RustyBrick's Web services include; Web page design, Web development, logo design, e-commerce, mobile Web development, iPhone development, search engine optimization and more. Since 1994, RustyBrick has been creating Web software for businesses and organizations of all kinds. RustyBrick designs premier iPhone & mobile applications for the Jewish market. They also work with clients such as MTV, Harper HarperCollins, Comedy Central, Harvard University and many more. RustyBrick also designed the most popular Siddur for the iPhone at http://rustybrick.com/siddur and has some of the most popular Jewish apps at http://rustybrick.com/iphone & http://www.rustybrick.com/android.